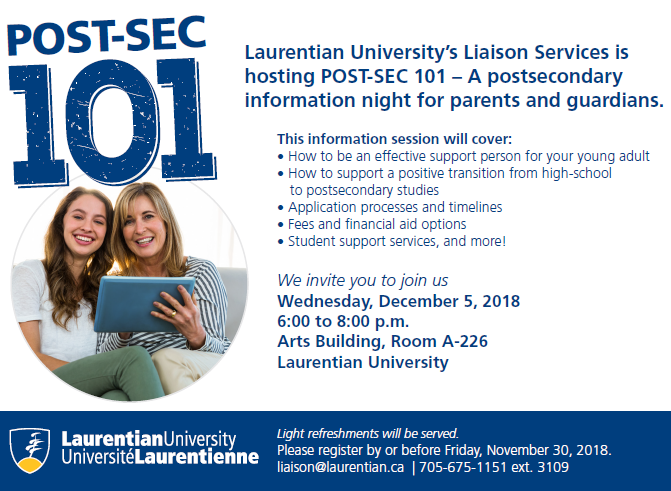 Liaison Services is hosting a Parent Information night on Wednesday, December 5th from 6:00pm – 8:00pm. ● student support services, and more! See Laurentian’s flyer on our website (under this week’s newsletter tab) for additional details.